The snow will arrive somewhere between 2 p.m. and 4 p.m., which would have a big impact on Tuesday evening’s commute. There hasn’t been a lot of snow yet this winter across much of Greater Boston, with the largest storm for most of us coming before Thanksgiving. Now, a new storm system is poised to bring a very messy commute Tuesday evening and while this isn’t a big snow maker, the timing of it is going to really slow things down as you head home tomorrow afternoon. The snow will arrive somewhere between 2 p.m. and 4 p.m., west to east. Prior to that, although there may be a few snow showers, I don’t foresee we’ll see any weather issues. Since the snow is still a day away from starting, the timing on this could move forward or back an hour or so. Once the snow does get underway it will come down quite heavy with amounts of 1 to 2 inches per hour. This will really slow things down and you’ll want to plan accordingly. 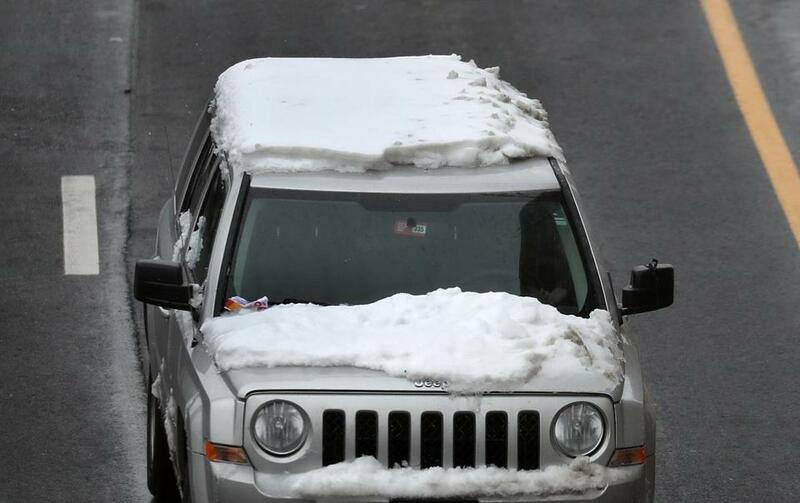 As we’ve seen in the past, the worst thing is to be driving at the height of a commute during steady snow. What often happens is that people see the snow start and everyone heads for the doorways and things can get ugly very quickly. 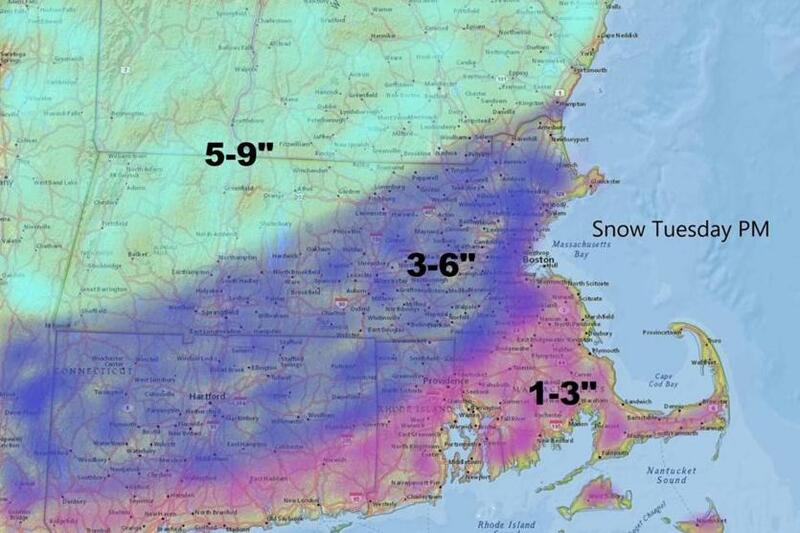 I’m expecting 3 to 6 inches of snow in Boston with more north and west and less toward the South Shore and Cape Cod. If it looks like the cold air is going to last a little bit longer, I’ll move that 5-to-9-inch line down closer to Interstate 495, perhaps into the Merrimack Valley. If the warm air appears that it will arrive earlier, that will push the 1 to 3 inches line up toward Boston. As usual, the most populated areas have the highest uncertainty. 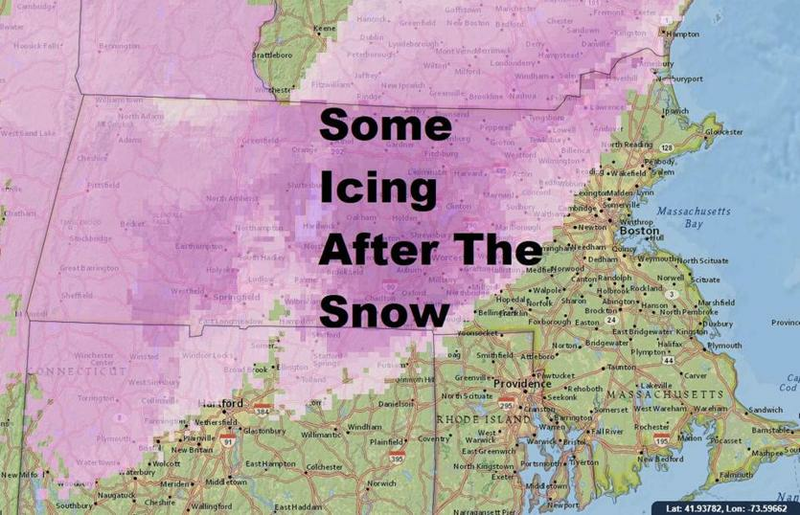 Tuesday evening, the mix line will be heading northward and eventually the snow will change to rain in Boston. I expect a mixture to last a lot longer over the interior and up toward New Hampshire and therefore, there will be some icing on top of the snowfall. It will be a good idea to shovel as much as possible during the evening so that you’re not having to contend with that heavy stuff, which will develop after the mix arrives. 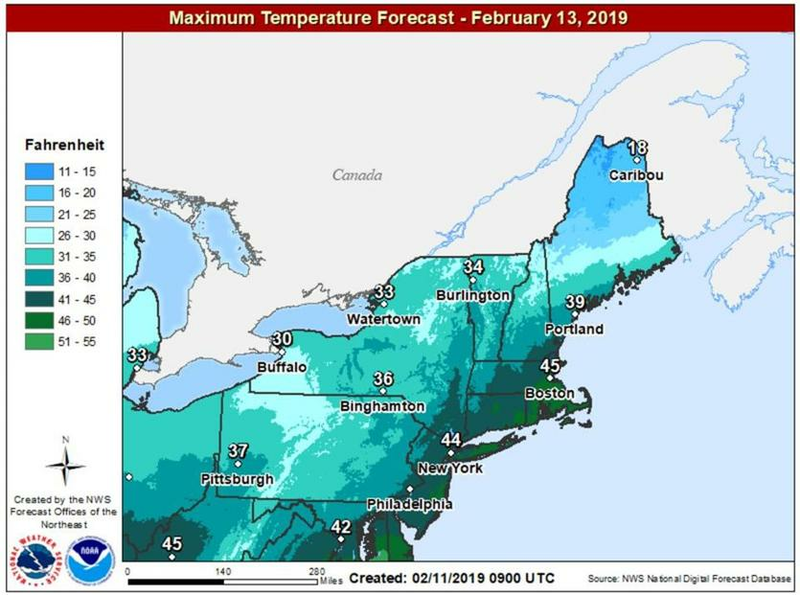 Temperatures will warm through the overnight Tuesday and on Wednesday, highs will get into the 40s for considerable melting. The sun this time of year is now into late October strength. This means once the sun has come out, it can melt things a lot quicker than it would have been able to back in December. Things look dry for Thursday and as we head toward Friday another batch of showers will cross the area, but it’s going to be too warm for any snowfall. There may be another storm system sometime next week. This would give ski areas an additional boost for winter break. Speaking of skiing, the mountains will see 8 to 12 inches of snow from this storm. Skiing should be quite good on Thursday with no arctic air around.